Cole's Warriors Director Danielle Smoot during her presentation to the students at Kenton Ridge High School. Cole's Warriors is committed to providing knowledge regarding the consequences and dangers of prescription drug abuse and to effect and sustain school culture change. This is accomplished through education, reducing the availability of Rx drugs through proper storage and disposal, offering teens a peer pressure release valve regarding the use of drugs while equipping them with refusal skills, and providing an anonymous avenue of reporting drug abuse and distribution in our schools and community. 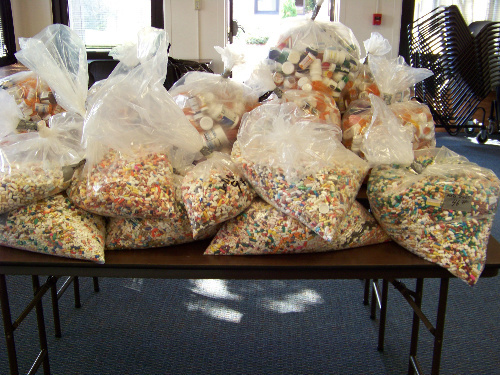 Some of the prescription drugs turned in as part of the Drug Take Back Program. Purpose is two-fold: give students a reason to keep saying "NO" to drug use, and to provide dialogue opportunities for parents. Drug-free pledge and contract is signed between Cole's Warriors, the students, and the parent. Results are confidential and only given to parents. 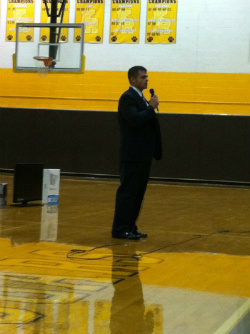 As schools are not involved in the program, they are not privy to results. Therefore, no school punishment is given for a positive result. Cole's Warriors drug testing program participation as of October 1, 2013. TipSubmit is a mobile app which allows tipsters to anonymously report to local law enforcement. The ability to anonymously report drug activity in schools empowers students to maintain confidentiality. 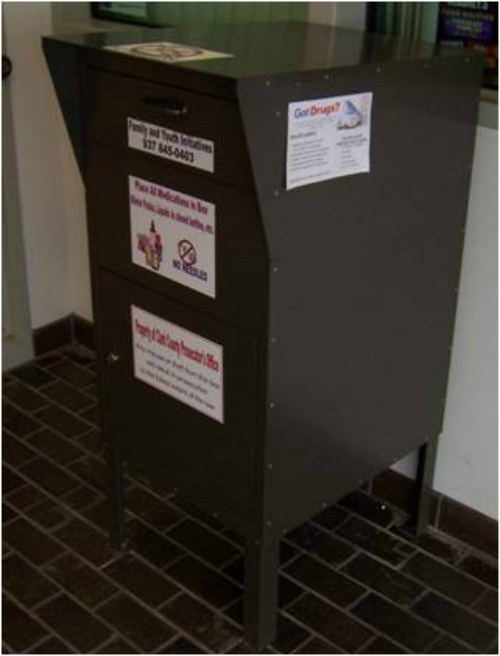 One of 4 Drug Take Back boxes in Clark County.